In the southern foothills of Vorarlberg, a V-shaped valley blazes a trail towards Silvretta, Vorarlberg’s highest mountain massif. The valley begins where Walgau and the Kloster Valley merge. With a topographic needle eye, it welcomes the locals and guests who, by rail, federal road or the newly created cycle path, here enter the Montafon Valley, bustling with tourists. 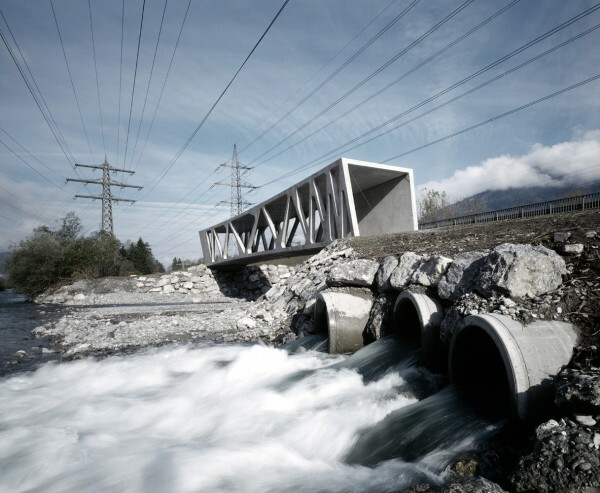 In parallel, the torrential and flood-prone Ill River paves its way, while the Alfenz River crosses the path of passers-by from the east and directs its waters from the Kloster Valley into the bed of the opulent river from the Montafon Valley. 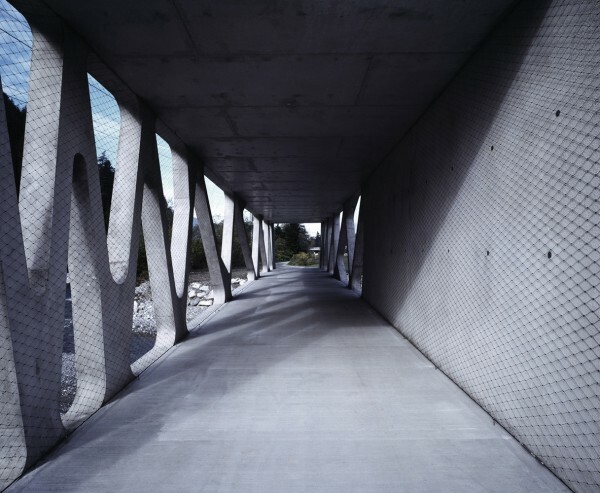 The newly constructed concrete bridge spans the Alfenz River a few meters before the confluence, granting walkers and cyclers safe passage.